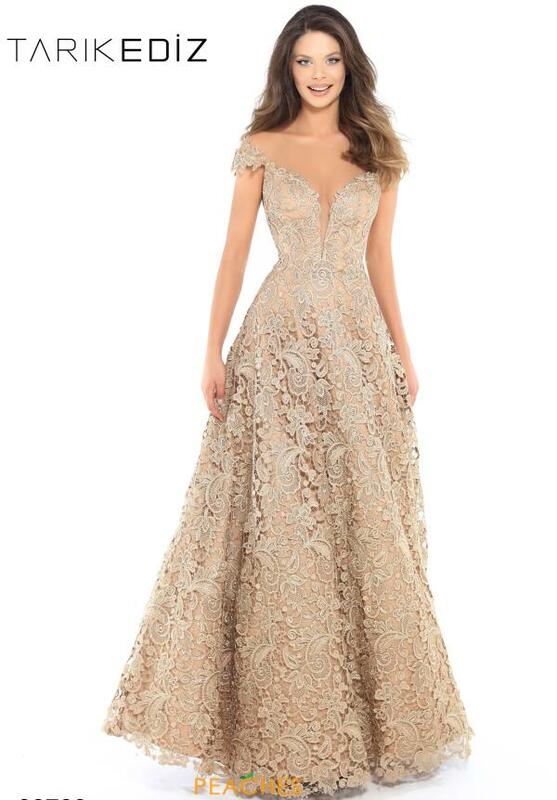 Feel like a modern day princess in this evening dress 93739 from Tarik Ediz at your upcoming special event. Features an illusion off the shoulder neckline and a bodice that is sure to be figure flattering. A long a line silhouette flares out at the waist and is made in a rich lace fabric that features an intricate design.